You have to die to be born again. The Last shall be First and the First Last. Death shall be Birth, and Birth Last. When you die in this World, Your born into the next. You haven’t been born yet. Birth is Last. You’ve been conceived, but you haven’t been born. Well, I think more or less we are saying the same thing, my friend. However allow for me to take it one step further. If God, the Father of Creation says His Ways are not of this world but beyond them, what does this mean? Death to the earthly/worldly ways that define security…happiness…or the things that are considered to be rewards in the worldly or earthly sense. There is another Scripture from the Holy Bible that demonstrates this idea in Jesus Christ’s teachings as said in the Gospel of St. Mark: “For what shall it profit a man, if he shall gain the whole world, and lose his own soul…” Mark 8:36. So to gain in the worldly sense, comes at a price. Is it self serving….or is it to honor the God who says His Ways are not of the world, but beyond them? As the end books of many Holy Books indicate, God’s Ways will slowly fade out…and be known by a MINORITY….not the MAJORITY. 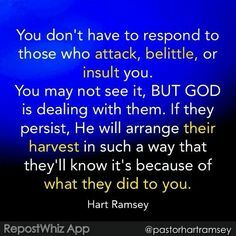 God’s Children will therefore be persecuted and killed for their ways of true Nonviolence, Unconditional Love, and Mercy…because it will not be the main way of life, just as Jesus Christ demonstrated with His own Life and Death on the Cross on Calvary. 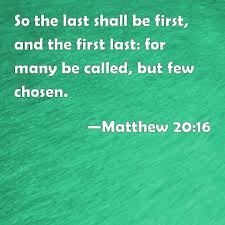 So whomever is first on this earth…..will be considered as last in God’s Kingdom. God’s Kingdom is not defined by the world’s ways, but beyond. Thank you for commenting….and please read PART II to see the complete thought process that I am coming from. God Bless….and may the Father of Creation find us worthy to enter His Eternal Kingdom, as Yeshu Christu showed us.